Sometimes you just need a little time for yourself. The many salons and spas of Irving, TX will pamper you with services designed to refresh and renew your body and spirit. Whether you just need a little pick-me-up, have a big event to prepare for, or want a couple’s massage, these spas will help you put your best self forward. For an affordable massage with the option of facial services and hair removal, head to Hand and Stone Massage & Facial in Las Colinas. Their signature hot stone massage applies heat for deep relaxation without excessive pressure. Take this concept up a notch and select the Himalayan salt stone massage for the added benefits that come from Himalayan salt stones, like minerals and moisturization. Spa W is your destination for all things concerning the face. Estheticians utilize pharmaceutical-grade products to deliver the best results possible. Facial options include a vitamin C treatment for firming and brightening, a lactic facial for sensitive skin, and much more; and all regular facials include a face, neck, and shoulders massage. Waxing and nail services are also available. New hair, new you! Refresh your look with a cut and color at the hair salons of Irving. Scott LeMaster Salon has had a presence in Las Colinas for over a decade, utilizing the more than 25 years of experience from its namesake to provide exceptional services. Transform your look with hair extensions or a statement color, or simply get a women or men’s haircut to freshen things up. Whatever you choose, you’re sure to leave feeling like a million bucks. Pure Salon and Spa is an Aveda concept salon where you can get the consistent service expected from an Aveda salon. Employing natural hair products, the stylists here will give you the balayage look you’ve always wanted or smooth out curls with a Brazilian blowout. Updos, makeup, lash extensions, and brow tinting are among the many other services offered. If you want one location where you can go all out on a facial, massage, haircut, manicure, pedicure, waxing, and body treatments, a full-service spa is in order. Irving has options ranging from resort spas to stand-alone day spas. For a luxurious spa resort experience, the Spa & Salon at Four Seasons or the Mokara Salon & Spa at the Omni Mandalay Hotel are top picks. Both spas have packages to choose from, so you can bundle services and get the most out of your day at the spa. Unique services at the Four Seasons Spa include the mud bar where your therapist will blend up a mud treatment just for your specific body needs; while Mokara’s unique services include seasonal body scrubs, citrus blossom manicures, and peppermint energizing pedicures. Both spas also have the option of group appointments for couples, birthdays, bachelorette festivities, or any other occasion requiring some group pampering. 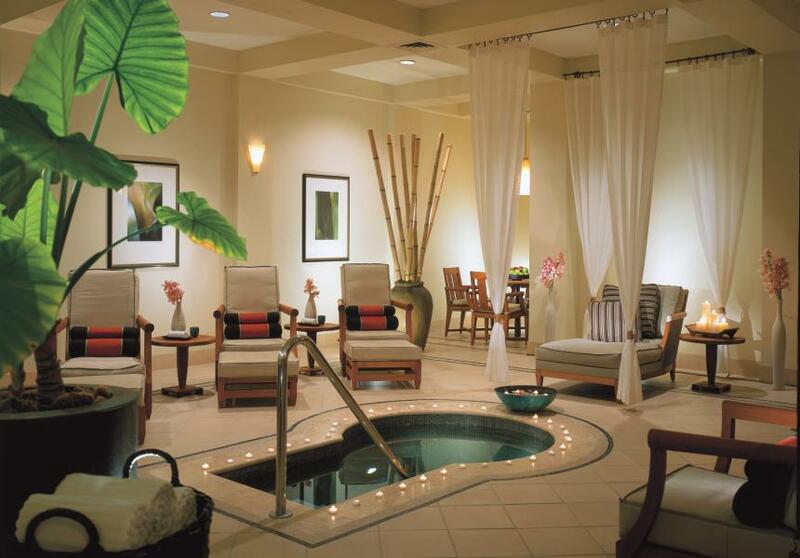 Day spa options in Irving include Lux Spa and Bellissima Day Spa. At Lux Spa, you can choose from 10 unique pedicures all under $60, like the Espresso Paradise or Green Tea Therapy pedicures. Bellissima Day Spa has body wrap treatments, including an Anti-Cellulite Peel-Off Pack, along with the option of a hydrotherapy bubble bath to refresh the entire body. As full-service spas, both Lux and Bellissima also offer hair and nail services, massages, waxing, facials, and even permanent makeup. Treat yourself to a spa day today and get ready for a new, rejuvenated you!